People who don't do this one thing nearly double their risk of acute heart attack. And they more than double their risk of dying of any cause! So what's the trick to living longer? 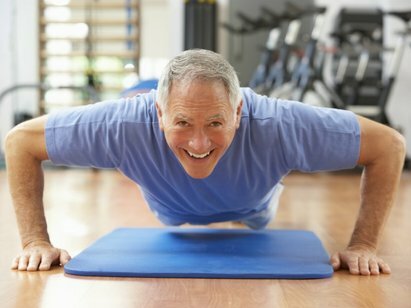 In a recent study presented at the American Heart Association 2012 Scientific Sessions, men who lost more than 15 percent of their cardiorespiratory fitness over the course of 10 years dramatically raised their risk of heart attack as well as death from any cause. So while many look to drugs to keep our hearts pumping and protect our bodies as we age, one of the most effective things you can do is simply keep moving. Some days it seems like it's a lot easier said than done--but making the effort to unstick yourself from the couch and get in some regular gentle movement will greatly benefit you. In fact, even after researchers adjusted their findings for BMI, smoking, diabetes, and other factors, they found there was a definite risk related only to fitness. As we age, our cardiorespiratory fitness levels go down at a rate of 5 to 15 percent every decade (between the ages of 20 and 80). Many people chalk this up to aging, and call it a simple fact of life. They couldn't be more wrong. But maybe you should be calling it a simple fact of death instead.! The researchers found that maintaining your cardiorespiratory fitness will prevent premature death from all causes. However unless there's a specific reason, many doctors don't measure cardiorespiratory fitness. But that doesn't stopy you for asking this be done at your next check up. The tests are inexpensive and many of us think we're more fit than we actually are, and a rude awakening is better than a surprise heart attack. If you have trouble staying fit, take advantage of Groupon and Living Social deals for a variety of group fitness classes. It's a fun way to get fit and get to know people in my neighborhood. It's never too late to start exercising, and every little bit counts. Check out an amazing product specifically for life extension called Telezyme.